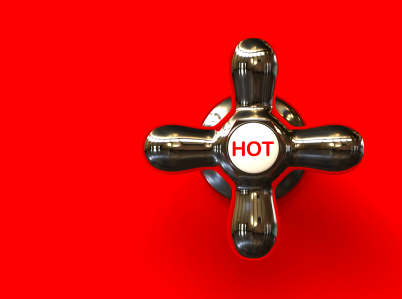 Drain your hot water heater twice a year. This will help remove built up minerals and sediment that can potentially harm your heater. Wrap an insulated blanket around your hot water heater so it doesn’t have to work as hard to reheat water. This will also help you cut down on energy costs. Replace your showerhead with an energy-efficient, or “low flow” model. These use less water so they make hot water last longer – while also saving energy and money. Install a hot water circulating pump if your shower takes too long to heat up. This is ideal for bathrooms far from the hot water heater as it keeps the hot water close by.